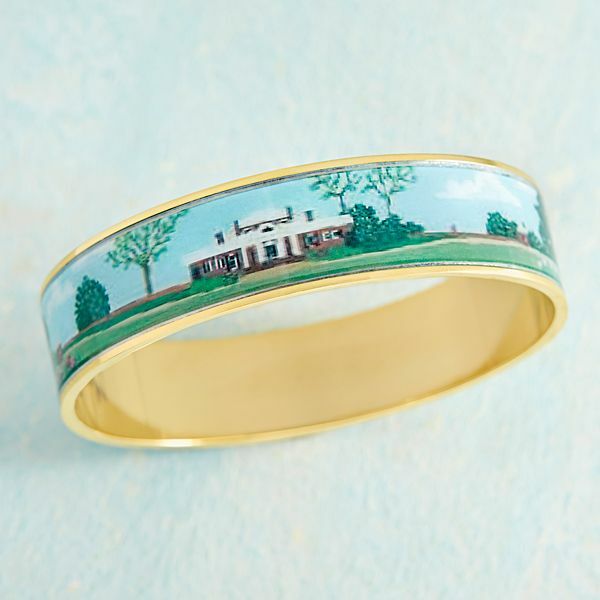 Acclaimed jewelry designer, Meg Carter’s panoramic view of Monticello and its surroundings is reproduced in enamel on this stunning 18k gold-over-palladium bracelet. Slips over hand. 2¾" dia. 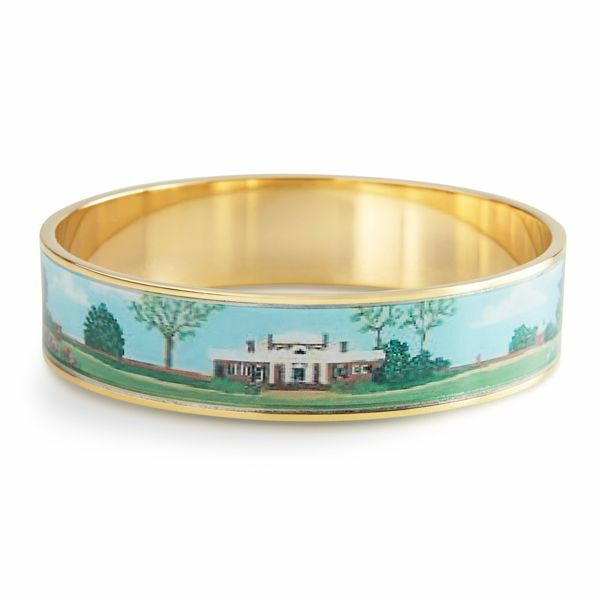 x ½"w. Gift boxed.